Are you planning to remodel or renovate your home, but don’t have time to oversee the project? Moreover, you don’t have the skills or the expertise to perform the job yourself. And even if you take the DIY route, you cannot expect to achieve the same results as you would by hiring a professional. You will have to hire a residential contractor to plan and execute the project for you. But not all of them are equal in terms of the quality of service they offer. Also, you would want great value for money. Therefore, you have to consider a few factors when selecting a contractor. What to look for when hiring a residential contractor? Keep in mind that the struggle of hiring a proficient residential contractor is far better than retiling a bathroom, knocking down a wall, and installing kitchen cabinets. Nevertheless, renovation can be a hectic, expensive, and stressful even with a good contractor. Therefore, choosing the right contractor for your home renovation can make the difference between a disastrous experience and a successful home remodeling project. 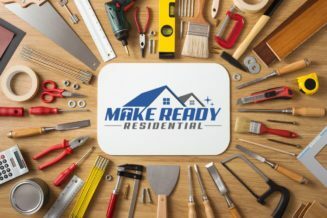 Most importantly, when you’re spending a lot of money on your home, you need to make sure the contractor you hire has the requisite skills and experience. In case you’re working on a big project, you may need to work with multiple contractors, specifically for plumbing and electrical fixes. Fortunately, there are certain ways to find the right contractor. Let’s have a look. This is the first thing you must do when find a contractor. Begin with making a plan while incorporating some renovation ideas. It will help you evaluate what renovations your home requires and the accurate estimates you want done. Often, homeowners, or property managers are highly impressed by seeing the efforts a residential contractor invests in renovating a home. It’s not necessary that someone who renovated your neighbor’s home will be the right person for your home remodeling job as well. Always look for a company that does the type of renovation work you are looking for. It’s imperative to make sure the contractor you hire has the necessary licensing and certifications. Moreover, it is important to mention further that you should check the disciplinary boards, local court records, and Better Business Bureau records for problems. In addition, ask your contractor for a copy of their license, as well as any subcontractors working on your project. Always make sure to talk to both subcontractors and clients about the general contractor you’re hiring. Moreover, read their online reviews and testimonials so you can have better idea about their professionalism and work experience. It’s important to makes sure your contract includes every detail for the project. Do mention the deadline, the minute details for renovation, and the exact materials your contractor will need. Selecting a good yet the right contractor is always a big decision. However, keeping the aforementioned points in mind will help you achieve your goal easily.